Now that the final season of the TV series Professor T has come to an end1 it’s time to revisit his use of stationery again. In the previous blog post, we looked at Staedtler’s Noris, which was a common sight in the first season. Professor T is a great TV series, even though the handheld cameras were often extremely shaky. I certainly liked how normal scenes were interspersed with one second cuts when people picked up or dropped stationery. It’s nice to see Faber-Castell’s Design Pencil Stand in this TV series. It is on the desk of Chief Inspector John van Humbeeck. 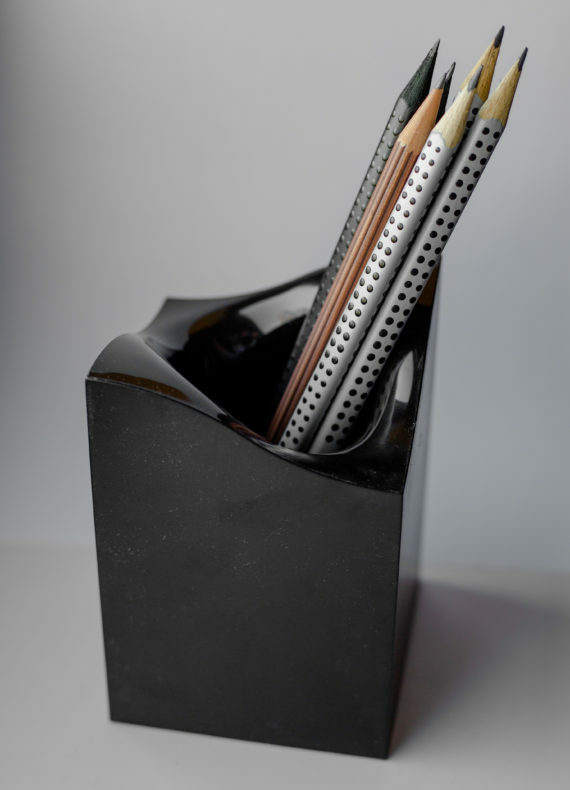 I first wrote about this pencil pot in a blog post from 2009. Unfortunately, it doesn’t seem to be produced anymore, but you can still get the last few ones on eBay US and eBay UK in a set with 24 Polychromos pencils. 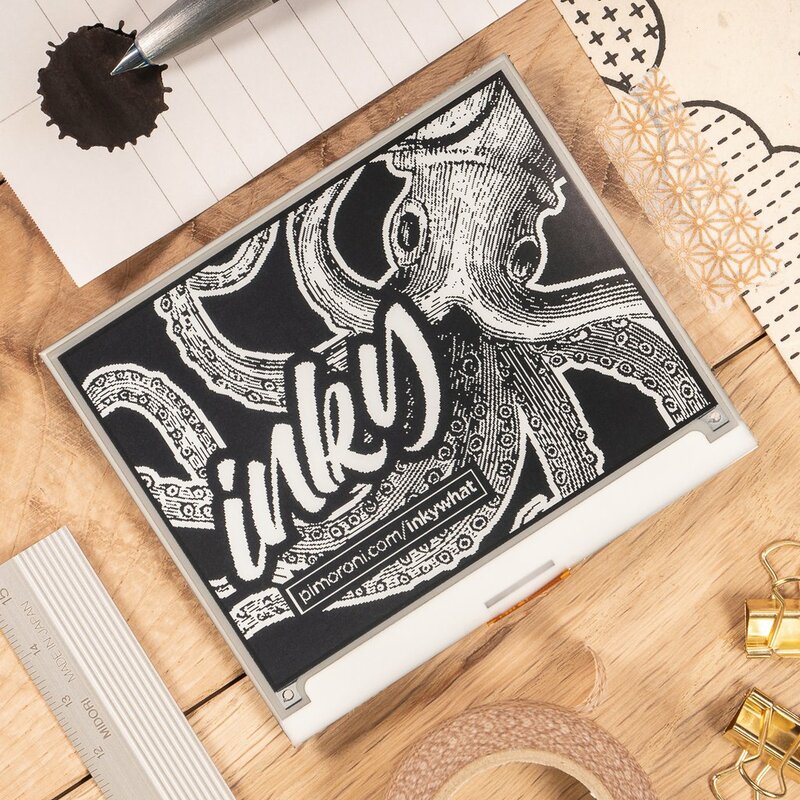 Speaking about coming across nice stationery in unexpected places: I was surprised to see some exciting stationery on Pimoroni’s website. Pimoroni is a hobbyist electronics company producing accessories for the Raspberry Pi. Their product photos feature fountain pens from Faber-Castell and Lamy (the Lamy 2000). Unexpectedly, Lamy also made it’s way to tea packaging in my local supermarket, in the form of a Lamy Safari nib drawing in B.
Pimoroni doesn’t only feature Lamy and Faber-Castell. By coincidence, I came across the blog of sandyjmacdonald who seems to be behind these photos. On his blog, he explains in wonderful detail how he made these shots. His shot shows a Kaweco fountain pen. Speaking of Kaweco: On Reddit you can also see famous actress Emma Watson with a fountain pen, a Kaweco Liliput in Copper. Going back to Faber-Castell, in case you were wondering: here’s how my Faber-Castell pencil pot looks now, 10 years later. The first two images in this blog post have been taken from Episode Eleven of Season Three of the original Professor T. TV series and from the Pimoroni.com web site. The Emma Watson photo has been taken from Reddit. 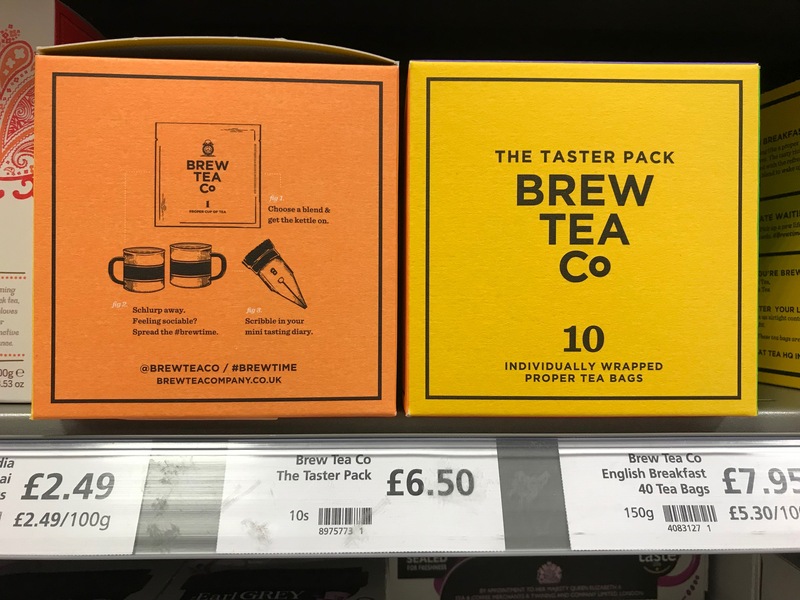 I believe that the use of the images shown in this blog post falls under “fair dealing” as described by the UK Copyright service.